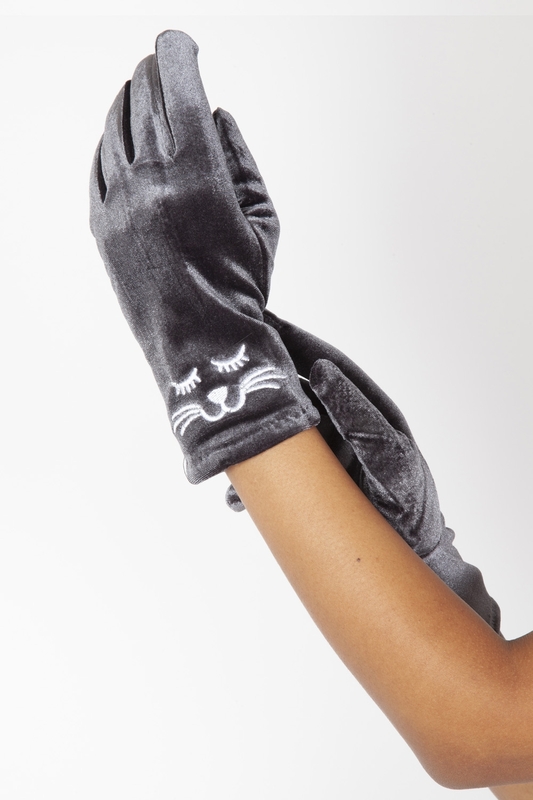 Our Kitty Velvet Gloves really do put the purrr in perfect! Whether you’re going for a vintage inspired look or a more modern aesthetic, these gloves are a sleek accessory to finish off your outfit. They’re touch-screen ready, too! Love the look? Check out the Kitty Black Velvet Gloves!